Vaping has skyrocketed in popularity over the past few years. It truly was a meteoric rise, from something that people barely even paid attention to and even dismissed, to something that more and more people are beginning to recognize the world over. This giant leap in popularity is due to the fact that vaping is many times more convenient and more beneficial than smoking. Vape communities continue to grow bigger and bigger as well. If you’re new to the concept of vape pens, yet you want to ride the bandwagon, then it’s time to try ePuffer’s D-500 disposable e-cigar. What is the D-500 E-Cigar? Before exploring the D-500, you can benefit from learning about the mechanism and perks of an e-cigar. First, e-cigars are very similar to traditional cigars in terms of appearance and manner of smoking. 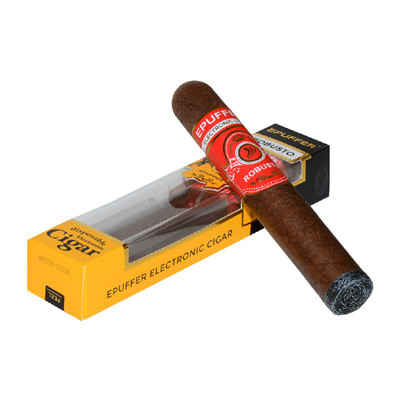 If you check them out here on ePuffer, you can see how the eCigars resemble real Havana cigars. From the size and down to the texture, the similarity is strong. Once you vape an electronic cigar, you can feel the rush of tobacco satisfying your cravings. Every puff evokes a strong feeling of relaxation, and you can’t help but to continue vaping. Another advantage of an electric cigar is the style. Vape mods and starter kits are different sets that you can explore, but they are not as classic in style as e-cigars. ePuffer’s D-500 electronic cigar is one of the best choices to make if it’s your first time to delve in the world of vaping. It is simple, disposable, and doesn’t force you into prolonged brand commitment. After the product runs out of battery, you can just flick it into the trash bin and try something new. You can also buy the same kind, of course, if you already found yourself liking the one you got before. The primary driving force behind the invention of electronic cigarettes is the perils of cigarette smoking. Traditional cigarettes and cigars can damage your throat, lungs, and other your other vital organs. Cigarettes also have harsh components, and most of them are carcinogenic. E-Cigars are friendlier to your health since they have fine mechanisms that allow you to inhale vapor, instead of smoke. Once you expel the vapor, it is easily absorbed by the air. There is no ash to speak of and to deal with. Not to mention disposable eCigars are made of lightweight materials so there are less environment issues to deal with. 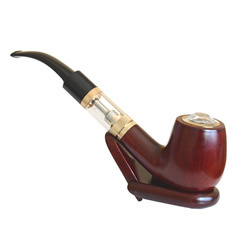 ePuffer’s D-500 electronic cigar may appear simple to you, but it’s one of the healthy electronic cigars in the market. Along with ePuffer’s D-1800 and Robusto, the D-500 is often marketed to different vaping communities around the world. The D-500 is made of health-friendly materials, so you don’t have to worry about the same kind of chemical components found in traditional cigarettes. Is The Electronic Cigar Worth Your Money? Since there are hundreds of e-cigarettes and vape mods in the market today, finding a valuable product can be challenging indeed. Most manufacturers will often give you ‘too good to be true’ promises for a bargain, but you’ll more than likely end up getting disappointed more than ever. ePuffer’s D-500 electronic cigar costs only $ 12.95—this is lower compared to most products that you’ll encounter in the market today. Don’t be puzzled by its low cost, though. The D-500 Electric Cigar is brimming with value. This simple cigar can offer up to 500 puffs which are equivalent to 5-6 cigars. Normal cigars can give you lower puff counts, and each puff has unbalanced smoke density which may be off-putting. 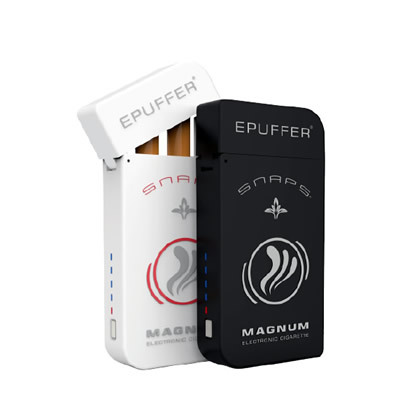 To get an even greater value, you can purchase the eCigar D-500 12-pack box from e-Puffer. This gives you 12 pieces of electronic cigars for long-term usage. Do the math: you can now experience up to 6000 puffs – at a discounted rate. While cigars are timeless and very classy, they also have safety issues. There are incidents wherein fires broke out due to neglected cigars. Since a cigar tip is superheated to more than 1000 degrees, it has the potential to burn any object. Moreover, cigar tips can scald skin, leaving unwanted scars. ePuffer’s D-500 e cigar has no safety issues of the same sort. The tip of the e cigar is an LED bulb, so it will just light up every time you inhale through the mouthpiece. You can rest easy, knowing that your vaping sessions won’t cause any damage at all. There’s also no risk of skin burns. The D-500 e-cigar has a length of 120mm. This makes the product highly convenient and you can store it in a small ePuffer pouch or leather case. Alternatively, you can just place it in your jacket pocket so you can grab it if you want to vape from time to time. Like other electronic cigars, the D-500 is perfect for social functions and occasions. Dazzle your friends as you unleash safe vapors through your mouth. There’s a great chance that your friends will get curious, especially if they’re smokers looking to quit. Isn’t it nice to know that you contributed to your friends’ enjoyment? The D-500 is also a great gift for someone that you want to impress. As you become more familiarized with disposable e-cigars, you’ll likely have that curiosity and that ‘itch’ to try out new models. 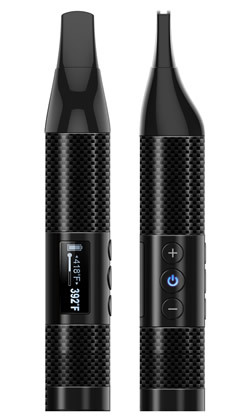 Just come back to the ePuffer website, there are dozens of starter vape kits to choose from. These kits have complete models, and they also have spare parts. Accessories are also included to give you a high-standard vaping experience – only from ePuffer. The collecting and customization aspects are the strong points of vaping. e-Puffer’s vaporizer kits give you great value for money due to their style, performance, and overall popularity. To know more, you can read the consumer reviews on our website. You won’t be disappointed – so try one of our best E-Cigars today!